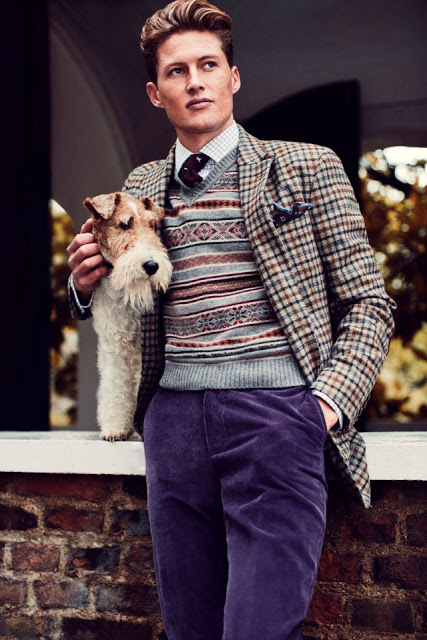 Fair Isle. Argyle. Cable knit. Cardigan. 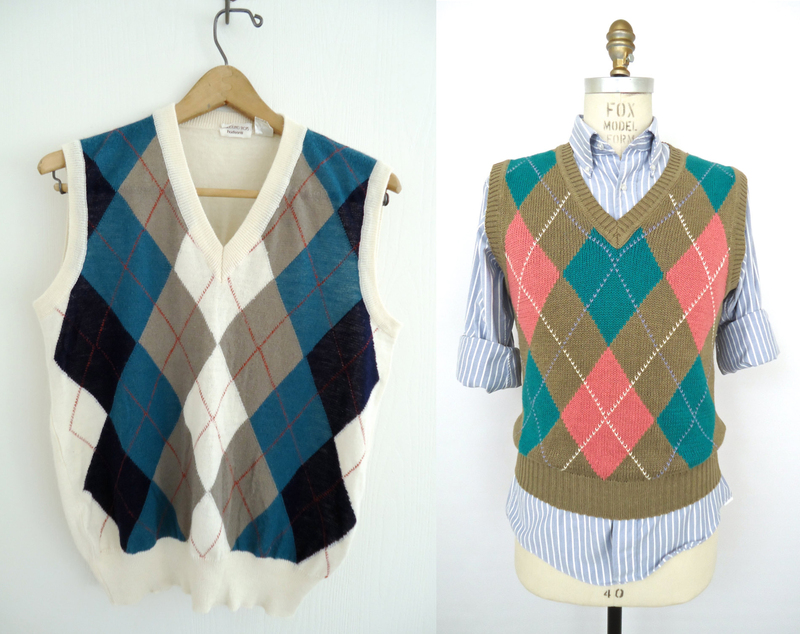 There are as many sweater vest possibilities as there are, well, full sweater possibilities. But not since the 1990s sweater vest/T-shirt combo (à la Chandler Bing) has the sleeveless wonder enjoyed mainstream popularity. That’s one reason they make a solid vintage option. 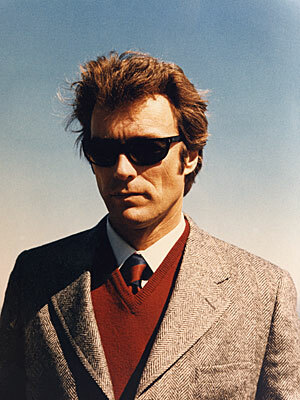 Like their more full fabric-ed cousin, the turtleneck, classic menswear may never completely abandon the sweater vest, but they are not readily available from current fashion retailers. Meanwhile vintage stores are flush with them, and it can be a good way to score older eras or designers that are otherwise difficult to find. Originally listed in the shop as a kind of taste experiment, or to see if anyone was still paying attention, sleeveless knits have emerged as a consistently strong seller. 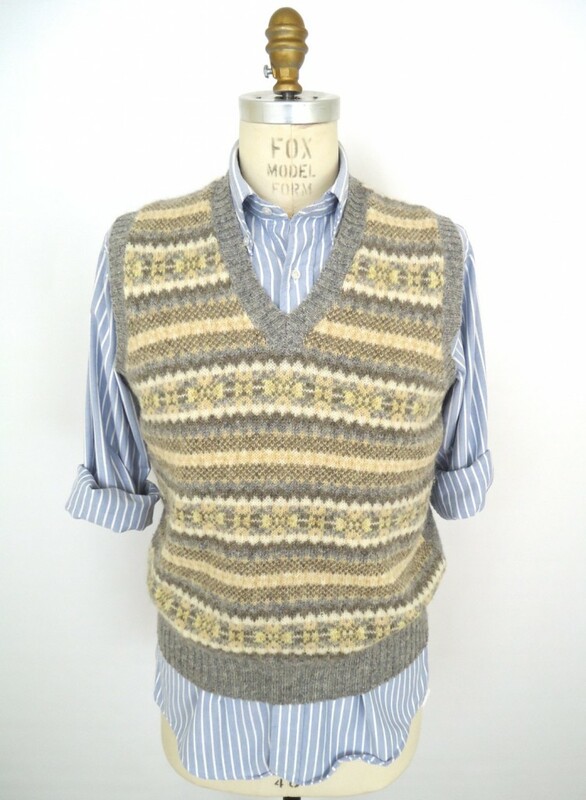 At the heart of their appeal is the versatility and almost accessory status of the sweater vest. 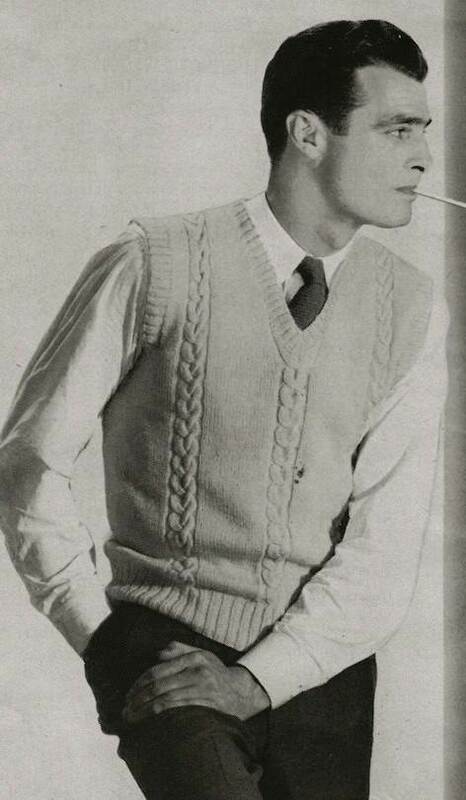 Somehow a sweater vest doesn’t feel like as much of a commitment as a full sweater or a jacket (although in execution it can be more of one). More like a hat or a pocket square, don one as a finishing touch, a boost of color or pattern or texture to pull an outfit together. 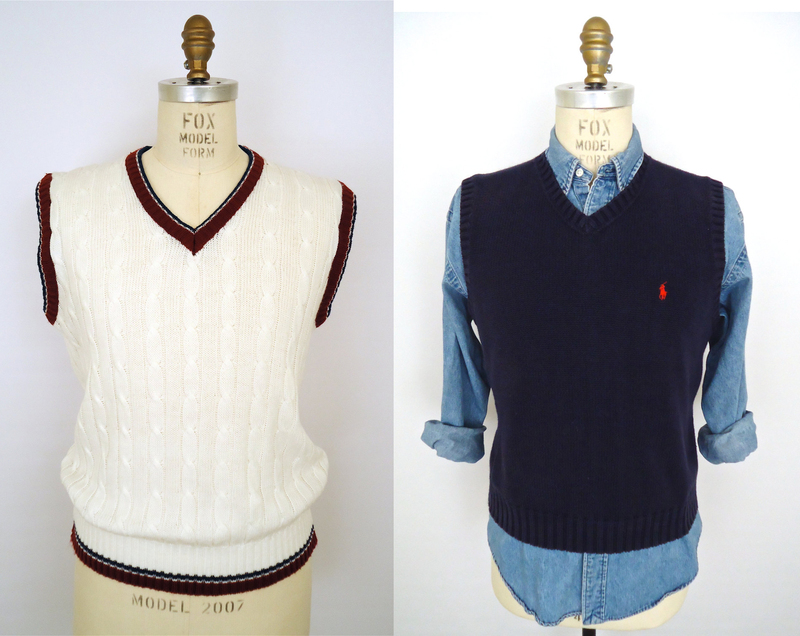 With the resurgence of suits, and particularly three-piece suits, the sweater vest is already beginning to make its latest comeback. 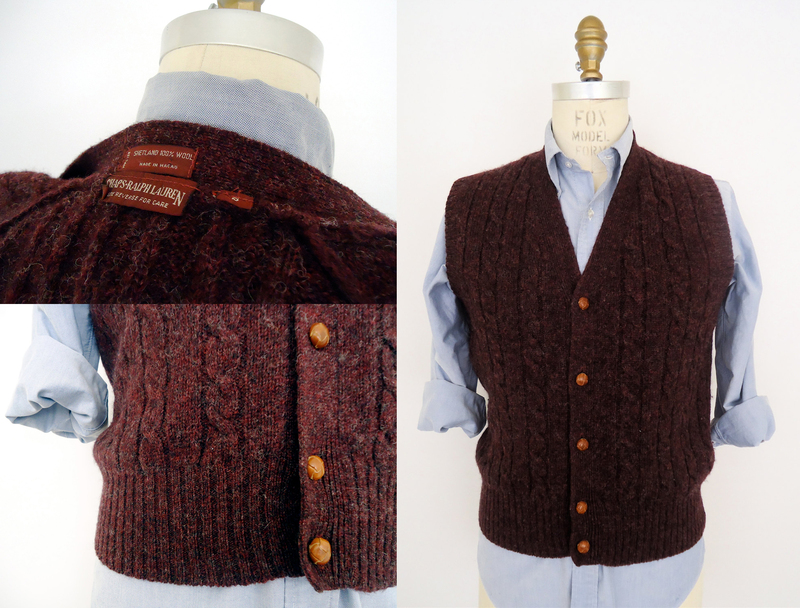 Sometimes billed as the “poor man’s three-piece suit,” the sweater vest is a wonderful way to freshen up and extend a suit’s life, dressing up or softening a suit look depending on the sweater vest at hand.